Vacuum Table VT3030 GR | DamenCNC B.V. 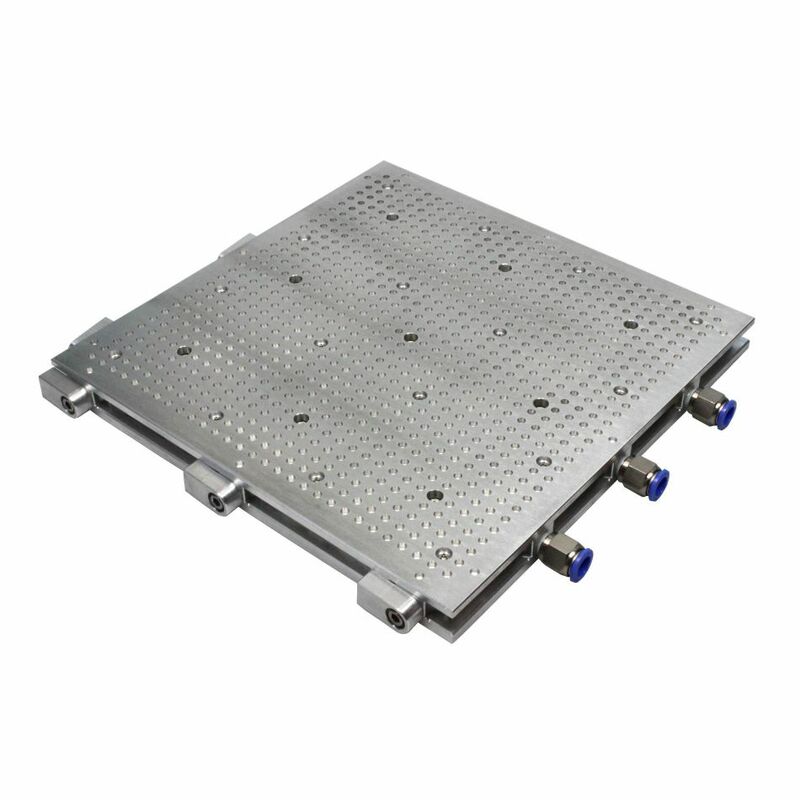 Vacuum tables of the GR series allow the milling of breakthroughs and are usually clamped on T-slot plates. 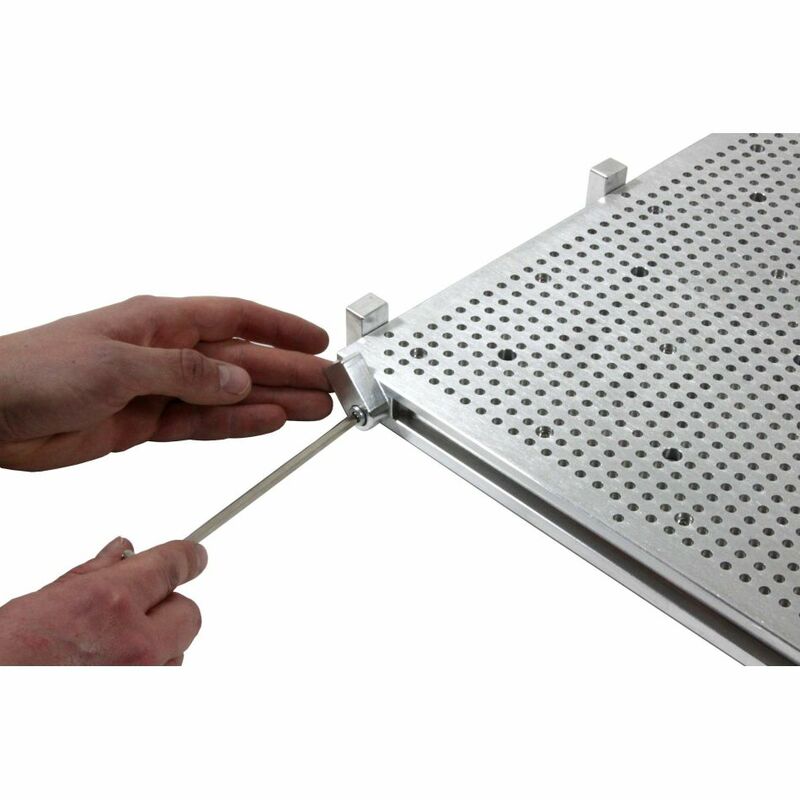 Attached to the side of the table is an aluminium part that can be used as a workpiece stop collar. 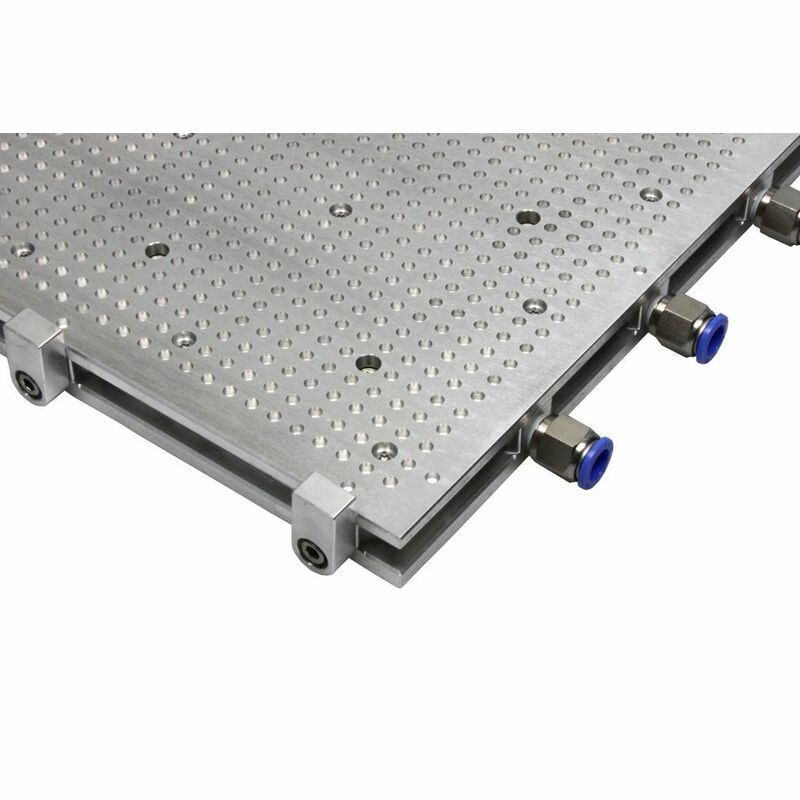 In addition, the GR vacuum tables can be combined gap-less and modular. 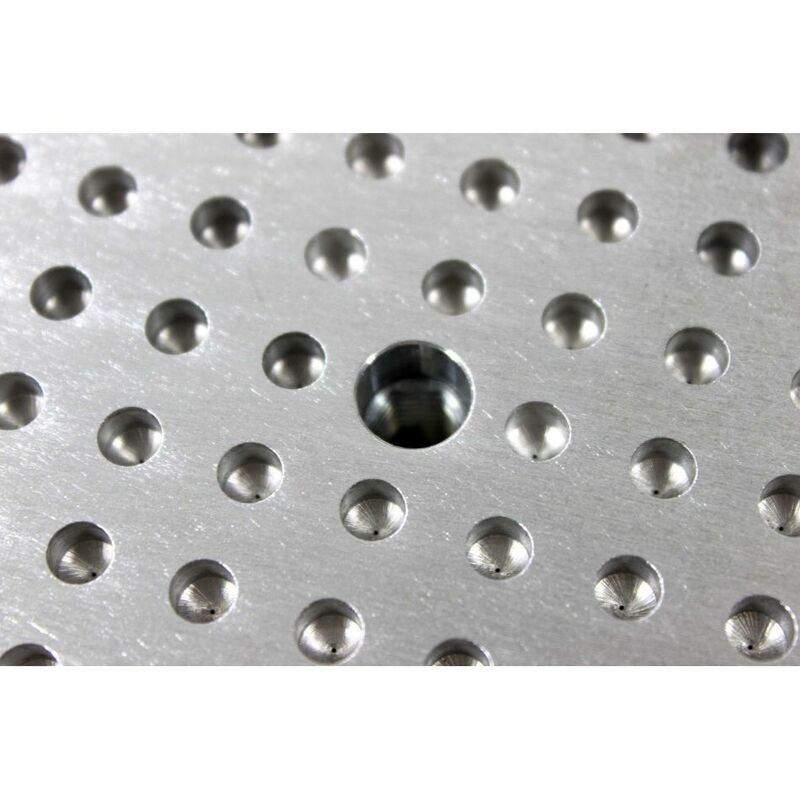 The main highlight is the 100mm thread grid within the suction surface. 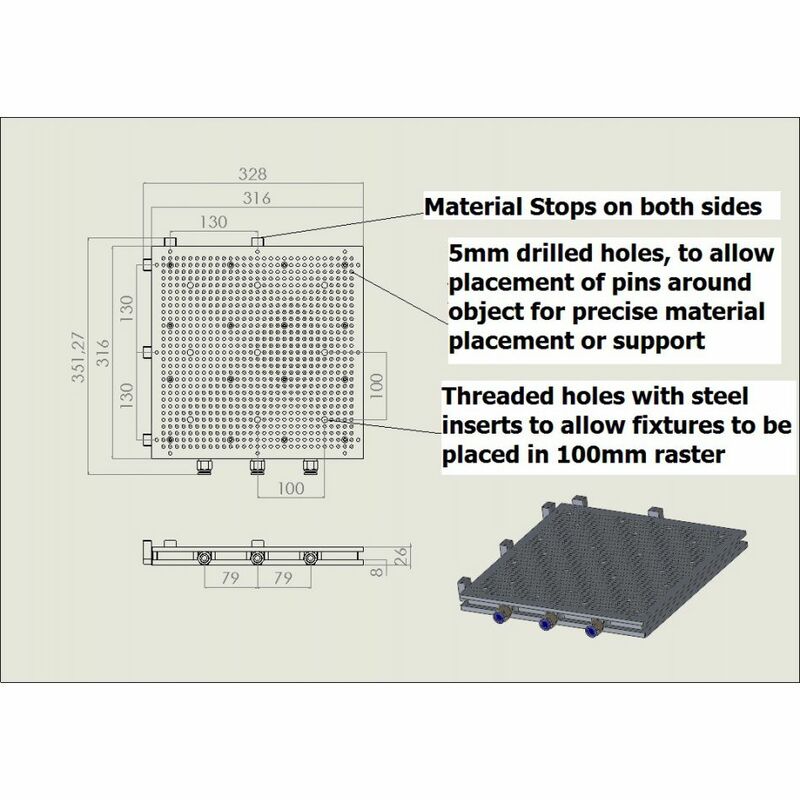 This allows for example attaching tools like vises and clamps, without removing the vacuum table of the machine. 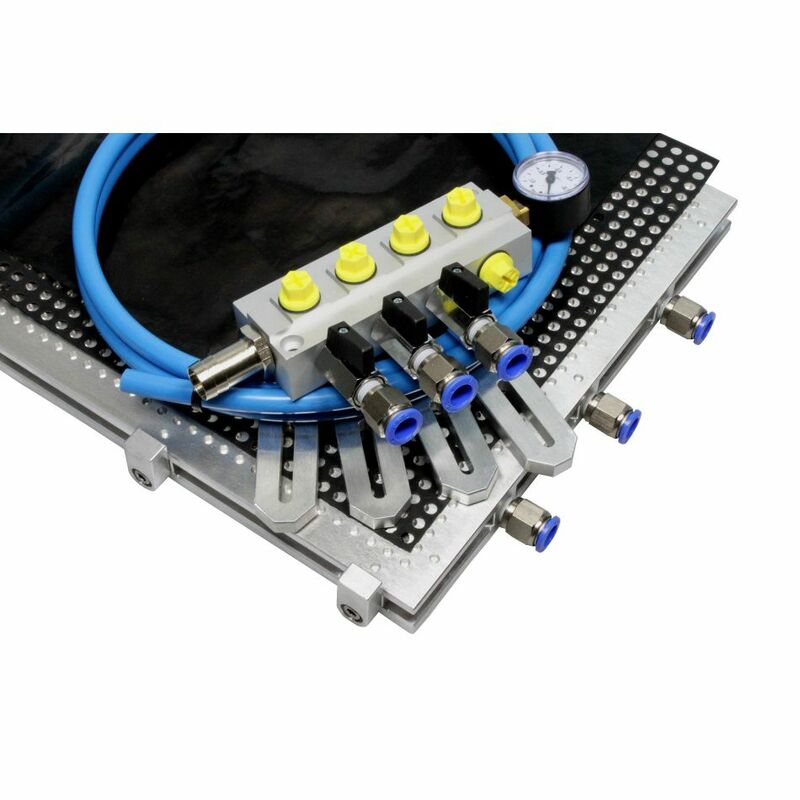 That provide flexibility in the choice of tool and workpiece.